Career success doesn’t just happen. That’s why our Microsoft training features a combination of Microsoft Official Courses, delivered by premier technical and instructional specialists. This gives you the best opportunity for a successful IT career. We are conveniently located near many prominent business locations in the Dallas-Fort Worth metro area. ComputerMinds is proud to be part of the CompTIA Learning Alliance (CLA), a seal of recognition for quality training providers. CLA training facilities provide the most comprehensive preparation for CompTIA certifications. Providing Dallas-Fort Worth businesses and employees with comprehensive computer / IT training that helps advance corporate goals and employee objectives. Whether your employees need Microsoft or CompTIA training, ComputerMinds.Com is the premier accelerated IT computer career training school in Texas. Recognized as leaders, authors, and experts in their respective fields, each instructor takes pride in passing along their invaluable knowledge, and understanding of the IT industry. We have been providing quality training for corporate employee and individuals since we were established in September of 1998. ComputerMinds.Com is Texas Workforce Commission Career School approved to serve individual and corporate clients. Our classes are approved for DARS (Department of Assistive Rehabilitative Services) clients. Monday through Friday open 8:30 a.m. – 5:00 p.m.
Saturday open 9:00 a.m. – 5:00 p.m.
ComputerMinds.Com, Inc. is a Microsoft Certified Partner (MCP) as well as a Total Network Solutions Provider. 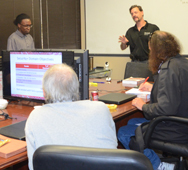 We offer training for individuals seeking IT certifications in the Dallas/Fort Worth (DFW) area. Our trainers are certified and work in the field. We have been providing quality training since we were established in September of 1998. 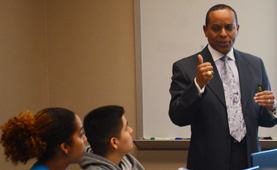 Thousands of students have successfully completed our IT computer career training courses. We have flexible night and weekend classes for those individuals who work full time during the day. Our prices are affordable and we will beat any other offer out there GUARANTEED!!! We also offer a full range of Network Solutions for local businesses. At ComputerMinds.Com, Inc. it is our personal goal to bring you one step closer to reaching your goals through uncompromising quality of work, customer education, and customer satisfaction. Acknowledging that we are working with diverse and unique individuals, we offer flexible and affordable rates for your computer needs. 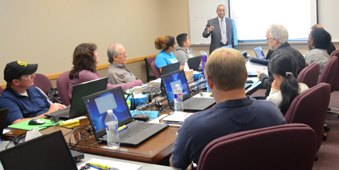 ComputerMinds proudly serves individuals in the Dallas Fort Worth area that most need IT and computer job training. We understand the various life circumstances our customers are encountering. Whether its a recent layoff or some other trigger to unemployment, or you’re just looking for a career change or career advancement, ComputerMinds.Com is happy to chat with you about your interests and the next steps toward helping you align career goals with a tactical training program. We are a proud partner of the Texas Workforce Commission (TWC) and the Workforce Innovation and Opportunity Act (WIOA) in Texas. 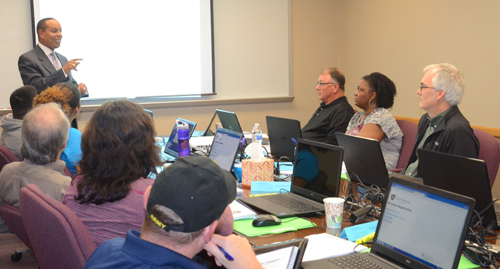 In fact, almost 99% of our customers get the training and certification from the funds they receive through WIOA, DARS and similar programs. This means zero out of pocket expenses. We also welcome veterans of military service who are looking for a fresh start after serving our country. We embrace the Vocational Rehabilitation and Employment (VR&E) Program and Veterans IT computer career training opportunities. Located in Euless, we are conveniently located from many locations in the DFW metro area. 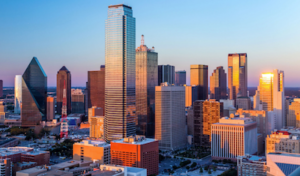 Cities such as Dallas, Fort Worth, Euless, Arlington, Grapevine, Colleyville, Hurst, Irving, Grand Pairie, Melody Hills, North Richland Hills, Carrollton, Keller, Haltom City, University Park and Richardson, TX, are all located within a 30-minute drive time (or less) to our training center. We work in close association with the WIOA (Workforce Innovation and Opportunity Act) program within the TWC (Texas Workforce Commission) in Tarrant County, providing computer training for the unemployed, under-employed, those who have received a notice of termination, veterans, the economically disadvantaged, and at-risk youth. Many people come to ComputerMinds.Com Inc. through the DARS (Department of Assisted Rehabilitation Services) program with a wide array of injuries or disabilities, such as back injuries, ADD, hearing impairment, and many other doctor-diagnosed conditions that could affect your work ability. DARS is an excellent program with many resources to assist individuals. For our veterans, services that may be provided by the VR&E (Vocational Rebilitation and Employment) Program include: post-secondary training at a college, vocational, technical or business school; employment services such as job-training, job-seeking skills, résumé development, and other work readiness assistance; and comprehensive rebabilitation evaluation to determine abilities, skills and interests for employment.